Have you ever wanted to learn a new language? Whether you're trying to recall the French lessons you had at school or learning Mandarin from scratch, studying a new language can be really tough. 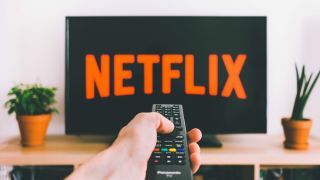 Learning Languages with Netflix is a new free-to-download Google Chrome Extension that wants to make the process easier. Once installed, the extension prompts you to select your region and the language you'd like to learn. According to the extension's website, this generates a catalogue of "high-quality" subtitled films that could help you with learning your new language. It looks like you can even adjust the difficulty level of the subtitles, so you can "gray out" less common words and focus on basic vocabulary, which is handy if you're just starting out. The extension also allows you to hover your mouse over specific words in the subtitles to see its translation or hear it being spoken aloud. Of course, a Google Chrome extension probably won't make you fluent in a new language, but watching films with subtitles is a fantastic way to supplement language lessons, or to brush up on a language you haven't spoken for a while – and with so many film choices on Netflix, you should have a lot of great movies to choose from. Do Google and Alexa really ignore minor languages?